Who thinks that sustainable fashion consists of jute and hemp fabrics nowadays is probably wrong – this may have been the case 40 years ago. Today, not only high-fashion labels focus on producing ecofriendly but also high-street labels like H&M or Mango. However, how “green” are those collections in real life? Zebra stripes, colorful prints and creative cuts – this is how the new „Asos made in Kenya“ collection looks like. At first sight, you cannot really tell how the clothes differ from the rest of the big selection at Asos. In fact, the British online shop does not only bring us another cool and casual collection but also an ecological one. 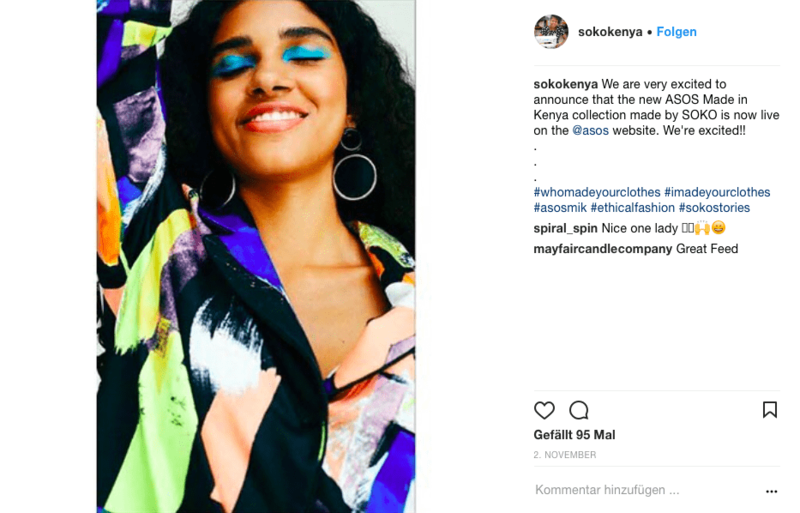 As apart from the prints, the airy dresses, tops and co. have another link to Kenya: they are all produced in the African country and count to a sustainability project of Asos. For the whole collection, they only use materials, which are easy to recycle or which have already been recycled before. Since 2010, the fashion concern is working with the African textile factory “Soko Kenya” – this season, they dropped the third collection of this collaboration. So this project is really about improving the infrastructure of the country and giving the workers a better future. The factory makes sure that all of the 50 employees receive a fair income regularly. Also, they provide help for local women to live a better life. For the current collection, children of a nearby school drew a lot of drawings, which have been transformed into prints by graphic designers. In return, Asos supports the school by providing schoolbooks and helping out with renovations. For Asos, this cooperation is definitely a step into an organic and fair direction. Actually, you can find an even wider range of ecofriendly picks and fair trade partner brands in the shop category “Eco Edit”. “We do not see sustainability as a competition but as a good possibility for teamwork”, says Louise McCabe, designee for corporate responsibilty at Asos, to harpersbazaar.de. Is it a green scam? Let’s take H&M as an example. After the “H&M Conscious Foundation” was founded in 2007, the Swedish fashion supplier launched its first “Conscious Collection” in 2011. Until today, the clothes are made out of at least 50 percent sustainable materials such as recycled polyester or organic cotton. Apparently, the “H&M Conscious Plan” is meant for enabling an ecofriendly future of fashion. The Sustainability Report of 2016 showed that they want to use recycled and organic materials only by 2030. The second intention is to completely switch to sustainable cotton. 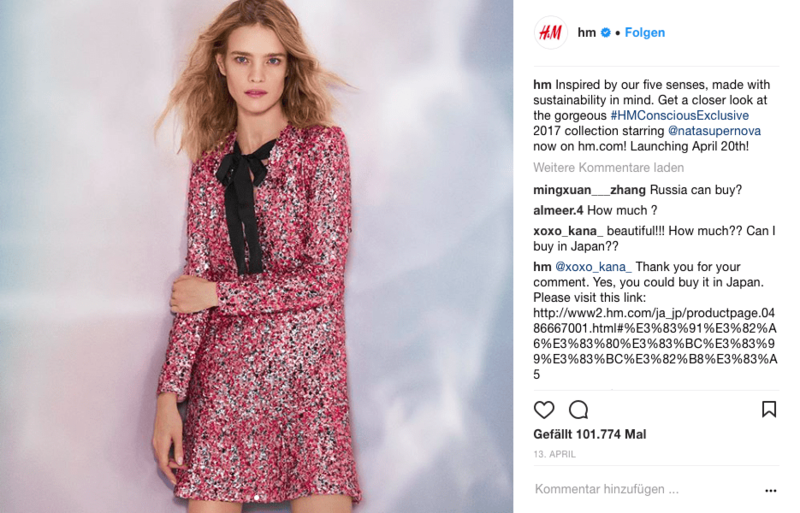 Here, the point of criticism is that H&M is focusing on “better-cotton”. This may be a good start because the production of this special kind of cotton uses less water and provides improved working conditions. Nevertheless, there are still pesticides used – which is not the case for bio cotton. So we can only wait and see whether H&M is shifting to fully bio in the near future. 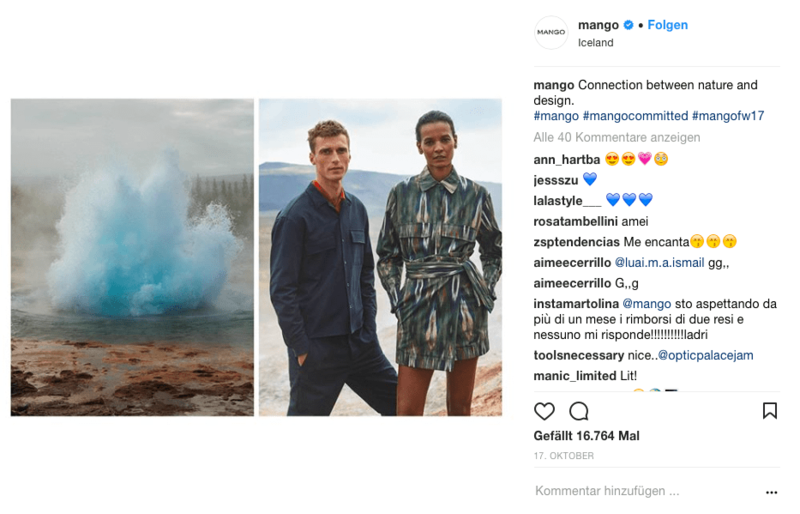 All greenwashing rumors aside – it’s nice to see how high-street labels want to contribute to a sustainable future. 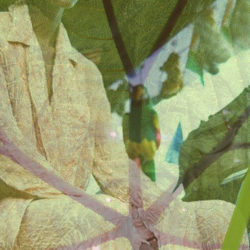 Therefore, ecological sensibility happens to be more and more important in fashion. Even though most of the clothes are still produced under worse conditions, the special organic collections are already a good start. Just think of that: if the fair trade picks catch on with our society, the suppliers will probably provide a wider selection. This is why ecofriendly fashion is something that concerns us consumers such as the different brands – like this, the prejudice of jute dresses will be history right away. Posted in News and tagged Asos, Bio Cotton, conscious, Fashion, H&M, Inspiration, Lifestyle, Mango, Musthaves, Organic, Sustainability, Things to love. Bookmark the permalink. Green fashion has made such strides in the last few years, I feel like I can barely keep up! I’m excited to check out Mango’s offerings! Nice read dear. Really informative and truly enlightening. Nice to know there are actually bloggers out there who talk about this kind of topic dear. Big fan of Mango here too. This topic sounds really interesting! Thank you for talking about this, I think we need to create more conscious on how fashion can damage the world. Interesting, thank you for sharing!